Let's take a quick dive into our selections. When it comes to diver’s watches, the Rolex Submariner (or for that matter, the Sea-Dweller or Deepsea) is one of the most recognised and popular pieces in the category. It is not a surprise, considering its extensive history, timeless look, and incredible marketing campaigns that had made this timepiece so desirable by many. Having personally own a Submariner, the author can definitely attest that it is certainly one of the best watches that he has had. It is no doubt a well-made timepiece. The Submariner is a tool watch after all, and it had certainly passed the test with flying colours after withstanding all the different conditions and environments that the author had thrown the watch into (not literally though). It is a handsome and versatile watch too – which we think that it is an additional plus point. However, we feel that there were many pieces in the category that were overshadowed by the Rolex. There are certainly many excellent diver’s watches out there in the market, and we reckon that they are worth a second look as well. What are some of the watches that we have recommended? Let’s find out! The 62MAS Reissue. One of the finest creations from Seiko, aside from its Grand Seiko/Credor range. First up, we have the Seiko Diver’s SLA017, also known as the 62MAS Reissue. This is probably one of the watches that Seiko fans want. Based on the first Seiko diver’s watch, the new SLA017 is certainly classy and timeless in design. Some interesting characteristics of the 39.9mm timepiece includes the domed sapphire crystal, case shape, as well as the design of the indices. It gave us a glimpse of the 1960s, and we are pleasantly surprised by how relevant these elements still look today. 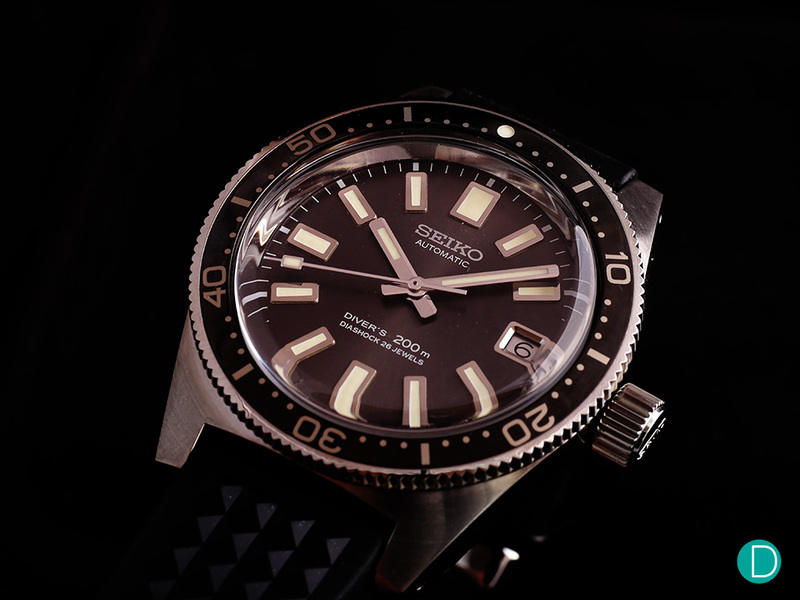 The SLA017 is fitted with Seiko’s Caliber 8L35, which is seen on their high-end pieces such as the Marinemaster 300 and the Emperor Tuna series. It is often touted as the undecorated version of Grand Seiko’s 9S55. The self-winding watch features a decent power reserve of around 50 hours, with a date indicator at the 3 o’clock position. The recommended retail price for this piece is €3,800 (approximately S$6,085), and it is limited to 2,000 pieces. While its price might be slightly steeper than the usual entry-level pieces from Seiko, but we reckon its finishing and quality makes up for the premium. This is surely one of the must-have pieces for any serious Seiko collectors. 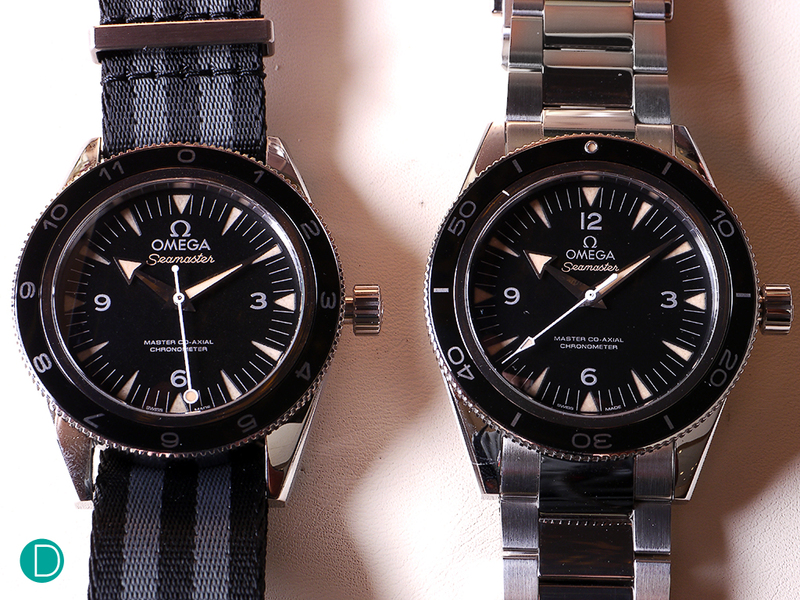 The Omega Seamaster 300 SPECTRE Limited Edition, together with an ordinary Seamaster 300. Besides the ever-popular Speedmaster, the Seamaster is one of the main collections in Omega’s stable. After all, this is not just any typical diver’s watch – but one that James Bond trusts as well. There are multiple variants of the Seamaster, in which the Seamaster 300 SPECTRE Limited Edition had caught our attention. As the name suggests, the watch was worn in the movie SPECTRE. But what truly attracted us towards the timepiece is its vintage-inspired design, which was inspired by the old Seamaster 300 model. There are also several interesting touches to the watch as well, such as the 12 hour time scale (instead of the usual diving bezel), as well as the Bond-inspired two-tone NATO strap. In addition, the lollipop seconds hand and faux patina complete the entire package – giving the watch its vintage appearance. Powered by Omega’s Co-axial Calibre 8400, the self-winding timepiece boasts a decent power reserve of around 60 hours. It is equipped with the latest anti-magnetic technology, hence its ability to resist magnetic fields greater than 15,000 gauss. Unlike the usual anti-magnetic watches which use a Faraday cage to protect the movement, Omega uses non-ferromagnetic materials to construct certain components of the movement instead. The SPECTRE Limited Edition is priced at €6,400 (approximately S$10,200), and it is limited to 7,007 pieces. The usual variant is a wonderful choice too, in case you are unable to get your hands on the SPECTRE Limited Edition timepiece. 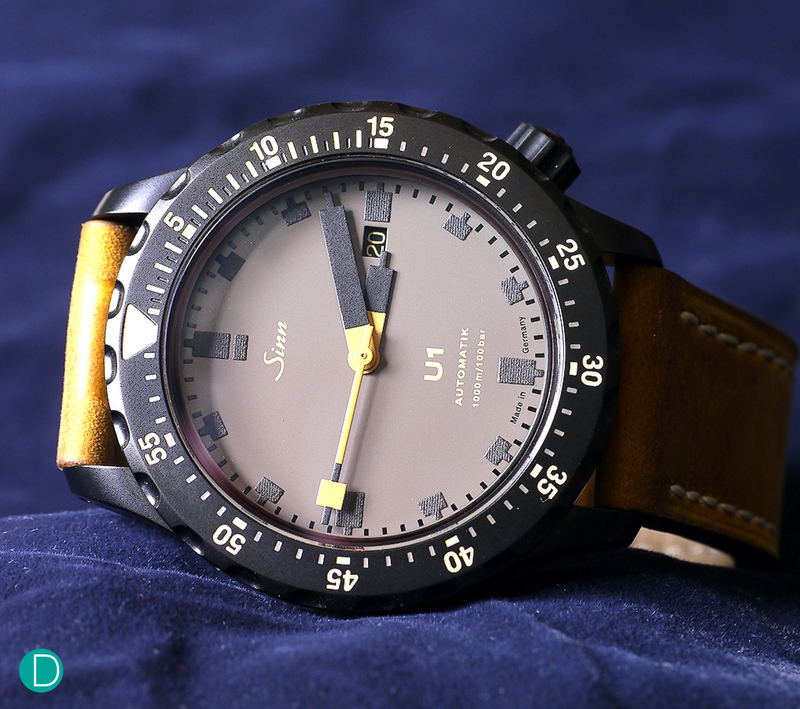 The U1 Desert – a special edition that was created for The Hour Glass. When it comes to diver’s watches, the Sinn U1 is, in our opinion, one of the most affordable and robust tool watches that money can buy. Cased in steel that was used to construct submarines, and reinforced by TEGIMENT technology, the watch is said to be six times stronger than a typical stainless steel timepiece. It is also waterproof to depth of 1000m, and blessed with anti-magnetic properties as well. The 44mm watch is powered by Sellita’s SW200 self-winding movement – with a date indicator and a decent power reserve of approximately 40 hours. It is a solid workhorse that certainly gets its job done. The U1 is available in multiple variants, such as the Camouflage or the Desert Edition. The watch is priced at US$2,160 (approximately S$2,850), and it is usually available in both rubber and metal bracelet option. This is certainly a solid piece to add into one’s collection, especially if one is planning to use it for diving or any other extreme sports. 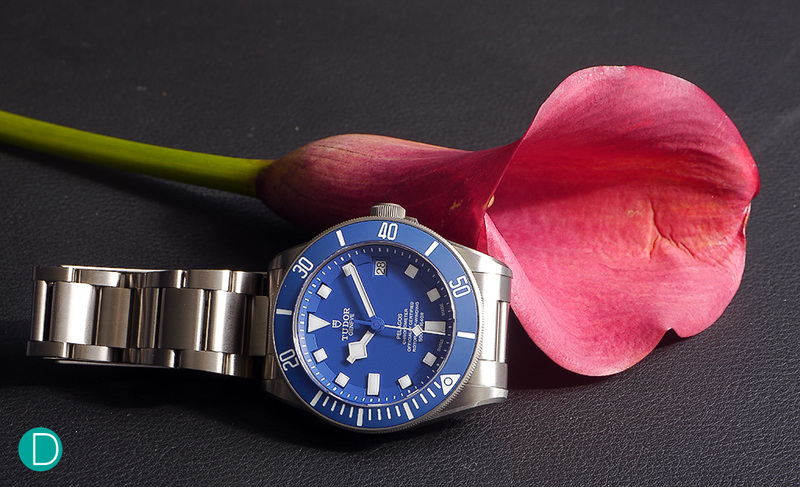 The Tudor Pelagos, in blue with an in-house movement. The Tudor Pelagos is one of the more popular pieces in Tudor’s line-up, following a complete revamp of the entire collection over the last few years. Partially inspired by the Submariner, and mostly by the “Snowflake” in Tudor’s heritage archives, the Pelagos has become a defining timepiece in Tudor’s renaissance – that respectful acknowledgement of past glories without blindly and completely copying the original. This is certainly going down well with many watch collectors, especially since they have moved away from making watches that are similar to Rolex. Following the launch of Tudor’s new in-house movement in 2015, the manufacturer had decided to give the Pelagos a timely upgrade. The watch now features the in-house MT5612 automatic movement and boasts an impressive power reserve of around 70 hours. In addition, it is COSC-certified as well. Interestingly, despite its seemingly large case at 42mm, the Pelagos is actually a pretty light watch. This is because the watch case and bracelet are made entirely from titanium. Coupled with a lovely matte blue dial, the Tudor Pelagos is a timepiece performs well in both form and function. It retails at CHF4,200 (approximately S$5,796), and we believe that it is a well-priced alternative to the Submariner. Blancpain Tribute to Fifty Fathoms MIL-SPEC is a potential life savior for any passionate diver. The diver’s watch as we know today can trace its roots back to the Blancpain Fifty Fathom. While they were definitely not the first to make a timepiece that is capable of going underwater, but Blancpain can pride itself for several important innovations. 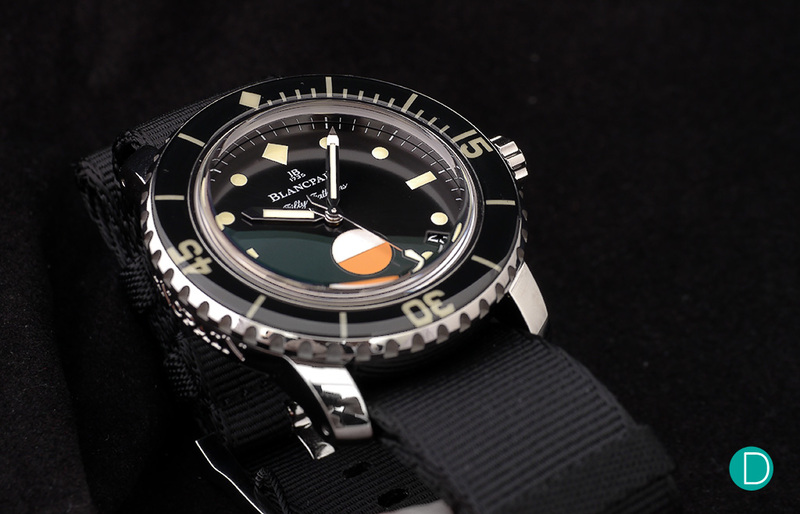 This includes the now widely-used unidirectional bezel, which is the hallmark of almost all diver’s watch. The Tribute to Fifty Fathoms MIL-SPEC is the modern interpretation of the original timepiece. There are several nice touches for this timepiece, such as the domed sapphire crystal, water-tightness humidity indicator, and the luminescence-filled unidirectional bezel. While the watch is only 40mm in diameter, but its bulky looks make it appear larger than it is. It is certainly an appealing watch. Priced at S$19,500, the Blancpain Tribute to Fifty Fathom MIL-SPEC is a tad pricier than the watches that we have highlighted today. However, the watch – which is fitted with an in-house automatic movement with a 4 day power reserve – is definitely a notch above the rest. This watch is also limited to a production of 500 pieces. If one is looking for an exclusive and interesting diver’s watch, the Blancpain might just be the answer to that. The JLC Polaris Memovox – a tribute to the legend. 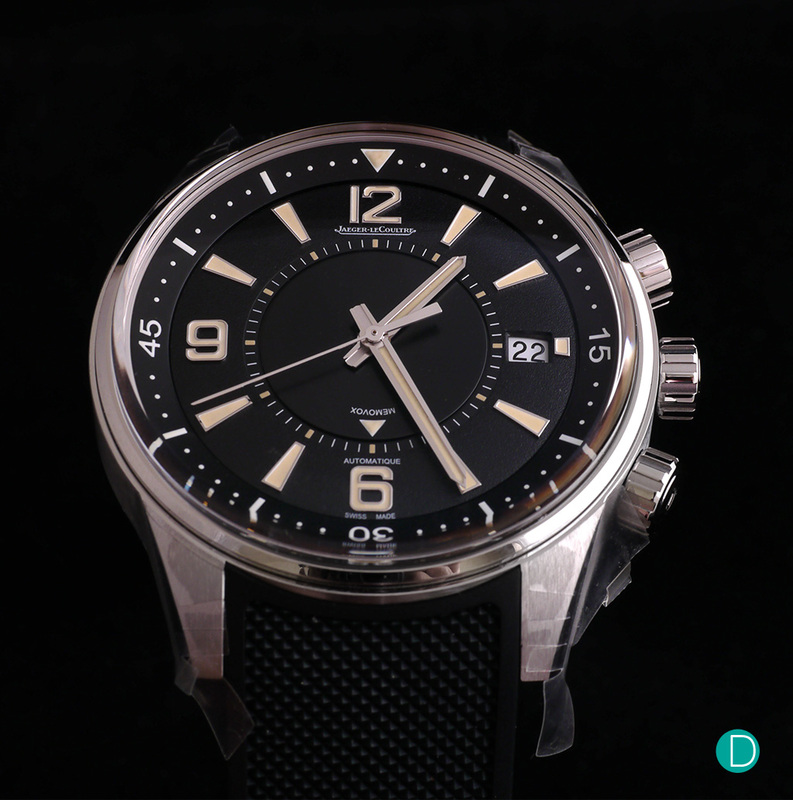 Finally, we have the Polaris Memovox from Jaeger LeCoultre. The Polaris Memovox is one of the five pieces from the Polaris collection. This particular edition – which features an alarm complication and an inner rotating bezel – pays tribute to the 50th anniversary of the Memovox. The 42mm watch features the iconic design cue of the Polaris Memovox, featuring three concentric circles on the watch face, and three crowns at the right side of the case. The use of faux patina also gives the watch a nice rustic touch. Powered by the in-house Calibre 956, the self-winding timepiece boasts the famous alarm complication and an updated instant-jump date-change system. It also has a decent power reserve of around 44 hours. One interesting fact about this movement is that the calibre is a direct descendant of the first automatic alarm watch movement that was created by JLC. The watch retails at US$12,600 (approximately S$16,628). If you are looking for a classic and iconic timepiece with a modern movement, then perhaps the Polaris Memovox might just be the timepiece that you might want to consider. We have made a conscientious effort to benchmark our selections to the Submariner Date, whose retail price stands at S$11,440. While the pieces here today aren’t exactly an “apple-to-apple” comparison, but we reckon that these are some of the choices that would come to mind, if one is looking to spend a respectable amount of money on a luxury diver’s watch. Having said that, there were also some notable mentions that had just missed the mark to join the list above. They include the Panerai Submersible, IWC Aquatimer, as well as the Ulysse Nardin Maxi Diver. Do not get us wrong – these are also excellent options, although we felt that the six watches that we have selected had a slight edge in terms of finishing or value proposition. So, what are some of the alternative diver’s watches that you will consider aside from the Rolex Submariner? Let us know in the comments section below!